As occasions never end, thisClay Ganesh Statue is beautifully crafted for worshipping purpose. Up for your buying pleasure today is a decorative Swan Bowl. We have made this bowl in Clay. Then handmaded artistic works. Perfect for holding your soaps or combs. Can be used to hold pens, scissors etc. Can also be used to hold silk flowers. The uses are endless. Will also make a great basket for gift giving. Minimum Order of Quantity 1000 pieces...!!! Hereby we offer Agal Vilaku earthen diya lamp made from clay. 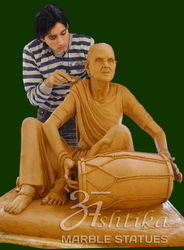 We are a prominent Manufacturer and Supplier of Clay Handicrafts. 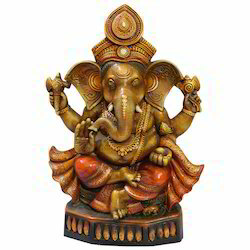 Our eclectic range of Clay Handicrafts is inclusive of Teracotta Statues, Terracotta Artifacts, Dipawali Diyas, Home Decor Handicrafts, God Ganesha Statues, Indian Handicrafts and many others. Each and every ..
We have marked a distinct position in the market by providing a precisely engineered range of Laxmi Ganesha Clay Statue. With the extensive knowledge and experience in this respective domain we are engaged in manufacturing and supplying high quality ceramic & clay products, ceramic & clay decoratives, polymer clay craft, clay craft items. The offered tiles are processed with the help of supreme quality material like clay, ceramic, glass and sand under the visionary guidance of skilled staff.